The Parish Hall will be closed from July 23rd until August 31st during which time the hall floor will be renewed and partial decoration to include the entrance lobby, front toilets and main hall (excluding the stage area, back room and kitchen). We apologise for the inconvenience this will cause and to the need to cancel all bookings during this period. 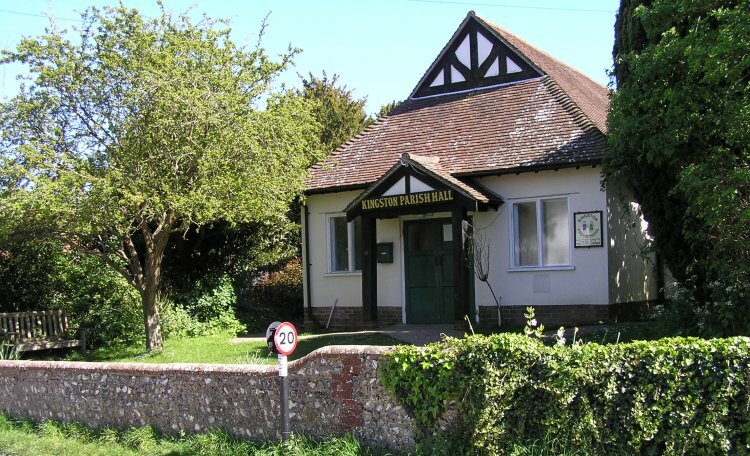 Kingston Parish Hall, built around 1914 and updated though the decades, provides meeting facilities for the local community. There is floor space to accommodate up to 150 people, depending upon the function, and includes a stage, kitchen nappy changing and toilet facilities. The Parish Hall is available for hire by both residents and non-residents. Booking arrangements can be made online or by contacting our Booking Secretary. All details and application forms are available here by clicking on the relevant menu item. If you have any questions about the facilities then please contact us.